Winter is hot on the heels of autumn, but as we prepare for Christmas, colder weather and longer nights, is protection against burglary also on our minds? As a nation, we’re planning on spending an average of £380 on Christmas gifts this year, with over three quarters of us believing the figure is too high. So, what would we rather like to spend the money on? Our latest survey found that over half of us would eschew Christmas altogether and go on a relaxing holiday, with one in five us opting to donate our Christmas budget to a good cause. Another one in five would prefer an expensive treat for themselves, and just three percent would save or invest it. Despite spending hundreds of pounds on gifts, it appears that once they’re in the house, we’re not thinking of the burglars that might be lying in wait for a chance to get inside. Over half of us keep presents in a wardrobe or cupboard (58%), one of the first places a burglar might ransack, with just 20 per cent in the safer place of the loft and only 6 per cent in the security of a safe. Winter is the peak season for burglaries as longer nights provide more cover for breaking in unseen. Festive parties and family gatherings draw people away from their homes and the focus on Christmas means more valuables in the home. With all that combined, burglars have the perfect opportunity to break in and take advantage of expensive items and even the family’s gifts. Regardless, very few of us are focused on updating our home security, with our survey finding that less than 30 per cent of us are bothering to increase our security measures at all during winter. It also revealed that just over 20 per cent can’t remember the last time their home security was updated! With a quarter of us not even knowing whether our front door lock, the simplest of security measures, is accredited, it poses further worry about how safe our homes are as winter sets in. So as the colder weather descends, consider how you could make your home that little bit safer and more secure. 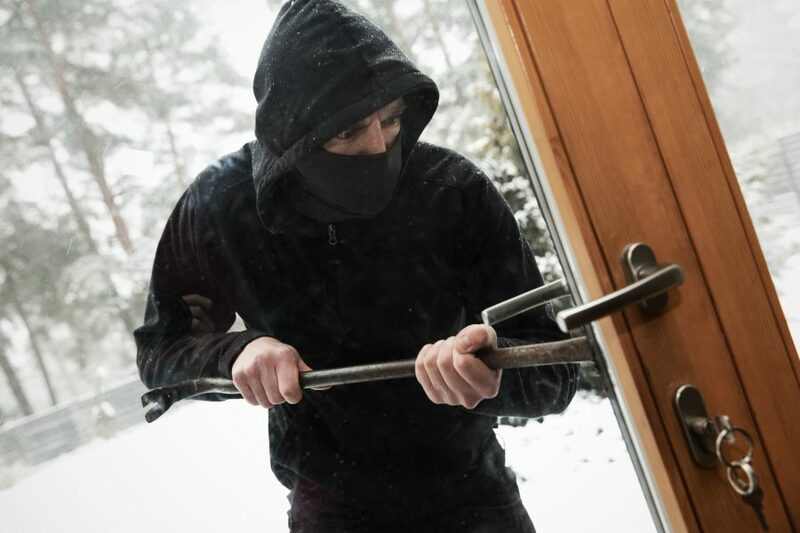 From double checking you’ve locked the front door, to adding security lighting, there are plenty of simple things that could prevent or discourage a burglar from entering your home. For more tips, get in touch on Twitter @TalkWithSafe. Have you entered our latest competition? We’re asking you to nominate your favourite charity for a chance to win them £380, the amount that we’re planning to spend on Christmas gifts this year! Click the link above to enter.